The ancient tribes, who are often credited with the creation of the yurt, believed in creating a balance between the world of people and the world of nature. These nomadic people felt strongly that their moveable dwellings should incorporate that balance. The Mongolians considered their traveling shelters, called gers, to be the center of their universe. The orientation of the dwelling had the door opening to the south and the interior space divided into four directions, north, south, east and west. The space to the north was considered sacred; if the family was religious that is where the altar sat, otherwise it was reserved for guests of honor. In keeping with the Yin and Yang theory, the eastern half of the yurt was the female space while the western portion was male. Traditionally, one moved around the inside space in a clockwise direction. Most importantly, it was a space for a family that provided a comfortable shelter from the elements. Gers or yurts (the Russian’s word for them which roughly translates to the word “home”) became a popular living space option in the US thanks to Dr. William Coperthwaite, a Maine-born, Harvard-educated professor who took an interest in yurts in the early 1960s for its simpler living space. While the nomadic tribes constructed their dwellings with felted mats of sheep’s wool, Coperthwaite’s design incorporated wood and canvas. 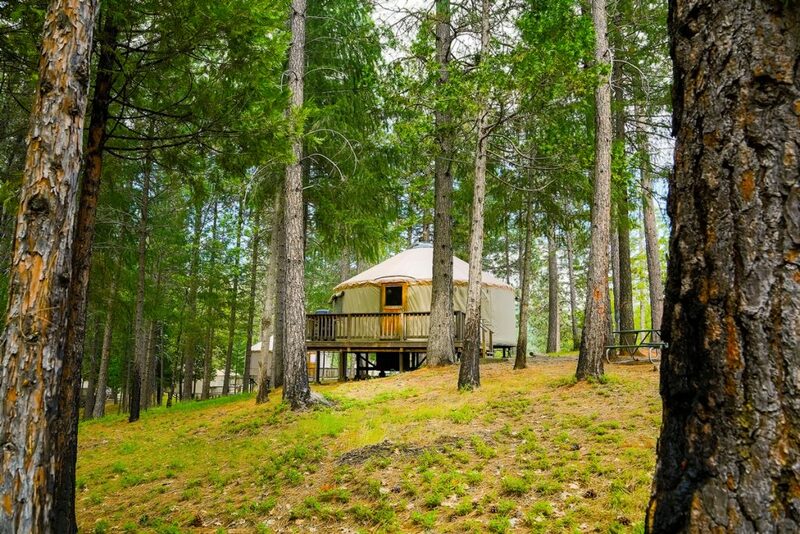 Coperthwaite’s designs become popular and in 1993, Oregon became the first state to offer yurts in their state parks as an option to tent camping. Yurts took a while to catch on, but are now one of the more popular alternatives to the tent or RV, for many reasons. The domed roofs allow sunlight and starlight in the structure and people have reported a feeling of serenity when occupying a yurt, which experts say has something to do with the circular enclosure. Yurts are well insulated and provide, as they did for the nomads, a comfy spot away from the cold and rain. They are spacious, too – you don’t have to divide your space like the ancients did, but if you choose to, there is plenty to go around. 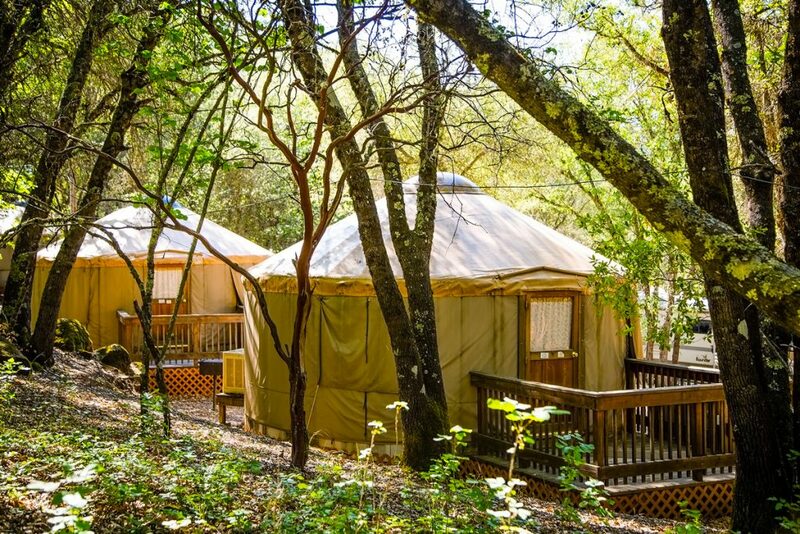 So why not find your center of the universe in a yurt and choose one for your next outdoor adventure? 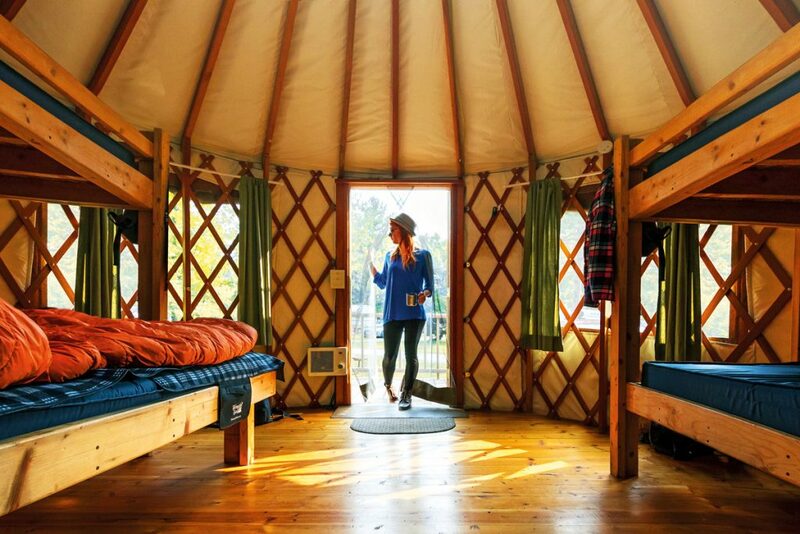 Petite Retreats offers yurts at several beautiful locations in California, Oregon, Pennsylvania, Washington, and Wisconsin. Visit petiteretreats.com to learn about our yurts and other unique accommodations at Petite Retreats.